This beautiful diploma frame, home to an 8 1/2 x 11 diploma, will bring warmth and style to any any office decor or setting. 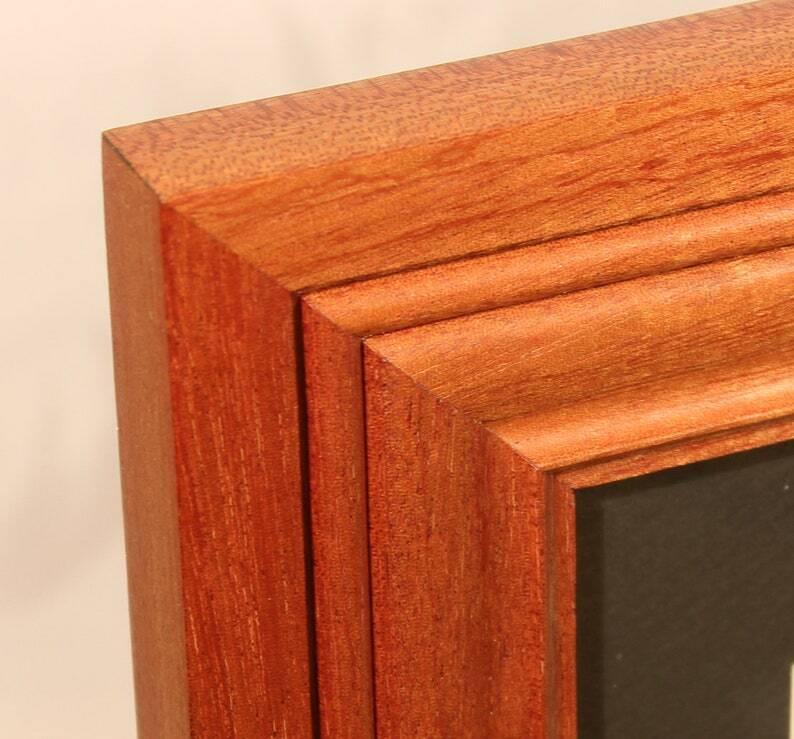 Solid mahogany frames are not found among the mass produced, veneered frames so often found in today's offices and homes. 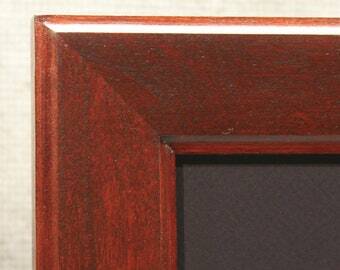 This diploma frame will set you apart from the masses, its an original, truly the only one like it in the world since it's made out raw lumber and has its own natural wood grain and markings. Rails: 1 3/4" wide and nearly and inch thick at 7/8"
Mat: 12" x 14", document opening 8" x 10 1/2" Any color combination you'd like. Cost: $134.95 - I also except Bitcoin or Ethereum at a discounted price (5% off with Ethereum and 10% off with Bitcoin). Contact me if you are interested in using either of these cyrpto-currencies. Contact me for details. Shipping: Included for orders within the United States. See shipping policy for orders outside of US. International shipping takes 6 -10 business days. Wonderful seller - very thorough with contacting me and letting me know the status of the order. The frame is beautiful! I will use harvestwoods for my future frame purchases. Thank you! second purchase, absolutely perfect! will order again!